Current selected tag: 'skin tone'. Clear. 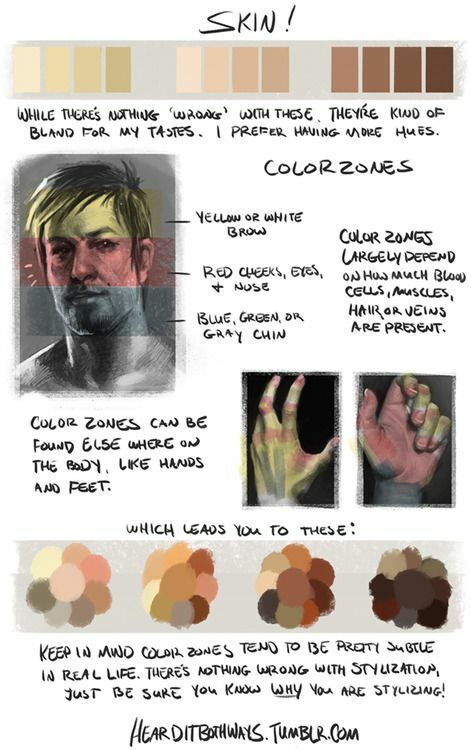 This reference guide provides some useful information about drawing skin on your portraits. One of the unique things about this guide is the addition of "color zones" that explain how the skin tone color is spread across different parts of the anatomy. This comprehensive reference guide provides useful information about drawing different skin and hair tones on your portraits. 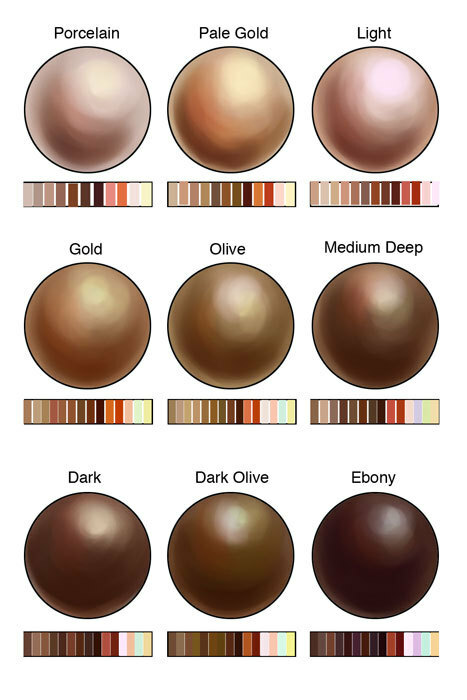 A useful resource if you're someone who wants a simple way to find the right skin tone when painting human subjects. You can use the Photoshop color drop tool to select the skin tone you want and apply it to your portraits as needed.